Heavily influenced by styles of the 1930s and 40s, the highly decorative Trees Deco print has looked to period illustrators such as Eric Ravilious and Edward Bawden for inspiration. 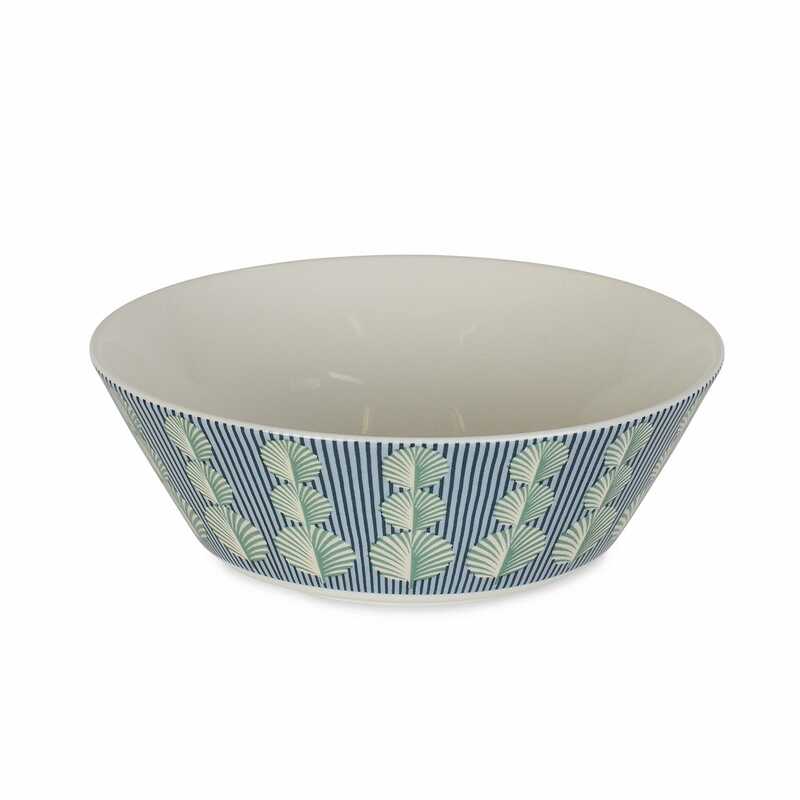 With its rich colours and detailed pattern, British textile designer Cressida Bell’s Art Deco take on her popular Heal’s fabric has been beautifully printed onto this deep bowl. Specialising in textiles and interiors, British designer Cressida Bell is known for her uncompromising decorative style. Undoubtedly influenced by her well known Bloomsbury Group forebears (Quentin Bell was her father and Vanessa Bell her grandmother), over the last 25 years she has managed to forge her own individual style.